Lately, I’ve been thinking about the Rohingya tragedy that’s been recently highlighted in the news but ongoing for decades now in Myanmar and bordering areas. I am always surprised when acquaintances ask me about the situation, and they react in disbelief that Buddhist monks would commit and/or be complicit in such atrocities. These reactions reveal the power of the cultural imaginary; for various reasons, (which I don’t have space to discuss herein), many Westerners often stereotype Buddhist monks as pacifist, vegan, spiritually advanced meditating ascetics. The example of the hardline Buddhist monks in Myanmar problematizes imagined versions of Buddhist monks. Perhaps no Buddhist narrative motif is more common throughout Buddhist literature – commentaries, folktales, hagiographies, miracle tales of all sorts, suttas/sutras, vinaya texts, etc. – than that of the eminent monk. The earliest examples of the motif of an eminent monk are stories of the historical Śākyamuni Buddha. Following this pattern, every school of Buddhism has chronicled stories of its own eminent monks, and according to Kieschnick (1997)*, the ideals contained in these narratives fall into the categories of asceticism, scholarship, and thaumaturgy or magical potency. This does not mean there is only one Buddhist monk narrative motif. For example, the warrior monk motif is based in Buddhist literature and is also popular in the West. It has been imagined in many films highlighting a connection between spiritual advancements and martial arts abilities such as karate and kung fu to grow far beyond its origins through other forms of media such as Japanese anime and manga. But only when we look beyond these two easy-to-find narrative motifs do we begin to discover other monk ‘characters.’ Schopen (2004)* describes “Ascetic monks, meditating monks, and learned monks” in the Mūlasarvāstivāda-vinaya (MSV) as “slightly ridiculous characters in unedifying, sardonic, and funny stories or as nasty customers that “good” monks do not want to spend much time around.” He further relates that “The monks that the redactors of the Mūlasarvāstivāda-vinaya envisioned, and the monks that modern scholarship has imagined, are then radically different, and this difference is extremely important for the historian of Buddhism in India.” This difference is also extremely important for the contemporary reader of Buddhist fiction, as it’s been some time since I’ve read a novel with a Buddhist monk character who fits into the narrative motif of the eminent monk. 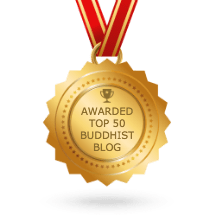 The three works of Buddhist fiction announced in this post present their readers with Buddhist monks who are most decidedly non-eminent. The monk protagonists in these novels and short stories read more like a case study in crazy-wisdom or characterized examples of upaya (skilful means); they do not flinch at boundaries but jump over the boundaries with glee. These monks are imagined for the 21st century. The novel is available on Amazon in both paperback and Kindle format. It is free to read for Kindle Unlimited readers until June 2018. A wonderfully dangerous force lurks within us all, bringing misery, love, or total emancipation. A lonesome monk is summoned to help Milos, an accomplished fighter deeply troubled by mysterious sorrows. Together they travel to a remote forest and are joined by another monk, recently expelled from his monastery for inappropriate behaviours. Secluded in the forest, the three monks unwittingly release an ill-tempered god from an ancient curse. The god offers the monks a special gift: the perfect virtue of their choice. Although virtue should make a monk’s spiritual path easier, the god is determined to make them fail. Can the monks find the wisdom needed to resist all the god’s temptations? Is such restraint humanly possible? In this richly imaginative tale discover a giant golden Buddha with a compassionate kick, a meditation hall filled with monks bearing beetle heads, and ten thousand irresistible goddesses dancing in the forest. A story that wisely explores the struggles between sensual desires and spiritual awakening. “[…] This books gets deep and will hit you if you slow down, pay attention, and allow the lessons to wash over you. I know that people want “fast reads” these days, but I slowed down on this book. The payoff was immense. Five stars!” – Greg Soden, host of Classical Ideas Podcast. You can listen to Greg Soden discuss Bernard’s novel on The Classical Ideas Podcast, Episode 46, 21 March 2018 here: https://classicalideaspodcast.libsyn.com/ep-46-hugo-bernard-on-naked-monk-diligence-and-buddhist-practice In the podcast Bernard reads from a chapter of Naked Monk: A Novel and discusses both his Buddhist and writing experiences. Have you heard of the Dalai Lama? Well, let me introduce you to the Dalai Camel, a decidedly more irreverent character, quite likely to offend those of a sensitive nature right out of the gate. On a fantastic 500 year journey to enlightenment, the Dalai Camel follows his guru from the Buddhic Plane to the Sahara Desert, from Medieval France to pre-Columbian Brazil, all the way to modern-day New York and Los Angeles. Along the way, you will meet madcap characters including his adopted son Ugavinny; his long-lost brother Nicholas, who accidentally chiselled off the nose of the Great Sphinx; and the Holy One and People magazine enthusiast the Dalai Lama himself. Truly a bizarre tale of Bliss and Bewilderment, The Dalai Camel is a once in a lifetime read. Unless it is reincarnated. But that would be a different lifetime. C. E. RACHLIN was a pre-med student when he had the epiphany that he should change course and become a writer. He has lived and worked in Philadelphia, New York, and Los Angeles, where he developed marketing strategies for a major Hollywood studio. You need Zen to navigate the global art world. Curators say, “Every artist should read this book.” Mad Monk Improper Parables offers sixty timeless wise, witty and intense tales whose Eastern wisdom can be enjoyed by every artist, anytime and anyplace. These enlightening tales of life, love and work are inspired by a renegade Korean Zen/Chan monk-artist who traveled on and as often off the strict Zen Way. This intriguing, timeless character is a non-conforming yet dedicated Buddhist, successful artist, caring lover, avowed hedonist and above all social moralist. He’s a respected community hero and conversely a renowned trickster fighting authority, deceit and injustice. These stories joyously dramatize Mad Monk’s Buddhist and community based philosophy. They offer practical self-help advice about social status, competition, ageing, career choices, romance, filial obligation, friendship, dedication to purpose, the meanings of charity and kindness. Above all discovering who you are and how you can develop that person. In this genre-bending book of Asian parables, Larry Littany Litt brings his Chan/ Zen wit, wisdom and storytelling art to the dilemmas and contradictions of modern art life. Reviewers are calling Mad Monk Improper Parables: “inspiring”, “delightfully and intellectually entertaining”, “magical”, “riveting”, “wonderfully deep”, “thoughtful and sensitive”. *Kieschnick, John. The Eminent Monk: Buddhist Ideals in Medieval Chinese Hagiography, Honolulu, HI: University of Hawai’i Press, 1997. *Schopen, Gregory. Buddhist Monks and Business Matters: Still More Papers on Monastic Buddhism in India. Honolulu, HI: University of Hawai’i Press, 2004, p. 15.